As your international print broker, Artful Dragon Press will focus all our efforts in helping you find the best Book Printing Companies in China, Asia, Hong Kongor any other overseas market, for your next book printing project. 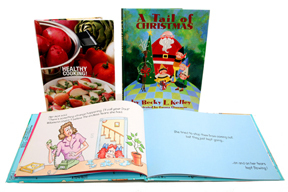 Get the same high quality, full color printed books you are used to while saving up to 30% on print production costs! "Get a Book Printing Quote From a China Book Printing Company"
Our China Book Printing Companies Use Only Soy based, Lead Free, Environmentally Sound Ink! International book printing companies in China, Asia, India, Indonesia, Taiwan, Singapore and Europe provide fast, excellent service using the most state-of-the-art equipment and book printing techniques. For years many of our major Western book publishers have used Asian and China book printing companies for printing books in medium to high run quantities. They’ve come to understand that the savings can add up to a significant dollar volume on medium to high run print quantities. Book printing in smaller volume runs may be more cost effective if printed locally. Artful Dragon Press is a US based international print broker working for our book printing clients. Our print brokers do not represent any foreign book printing company. Instead, over the years we have developed very strong relationships with a number of very carefully chosen book printing companies in China, Asia, India, Indonesia and Europe. Since our print brokers are not tied to any single book printing manufacturer we can obtain the most competitive book printing quotes possible for our clients. This is very rare in our local market.From books, calendars, catalogs and magazines to brochures, presentation folders and coupon booklets, regardless of your book printing needs, Artful Dragon Press can help you find the best book printing companies in China and Asia.We can show you how an overseas book printing company can make your next book printing project easy and profitable for you. For more information email our Asian and China Book Printing Brokers. 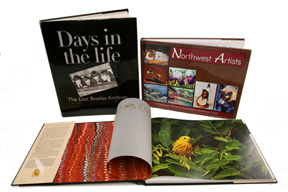 Let Artful Dragon Press handle your next book printing, calendar printing or catalog printing project. For more information on how to get tremendous savings (up to 30%) by using our Asian or other international book printing companies please Email our Book Printing Brokers.